Every figure skater makes weird faces while performing. This much is true due to torque and physics, but we were especially taken by Chinese skater Yan Han during his performance today in Sochi, one that helped him land an seventh place overall position in men's figure skating. We thought we'd highlight it here. This is a Deadspin Video, in which strange sports moments are slowed down to ridiculous speeds and matched with indie music. 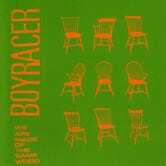 This video features "Twisted Love" by Boyracer. See previous episodes here.